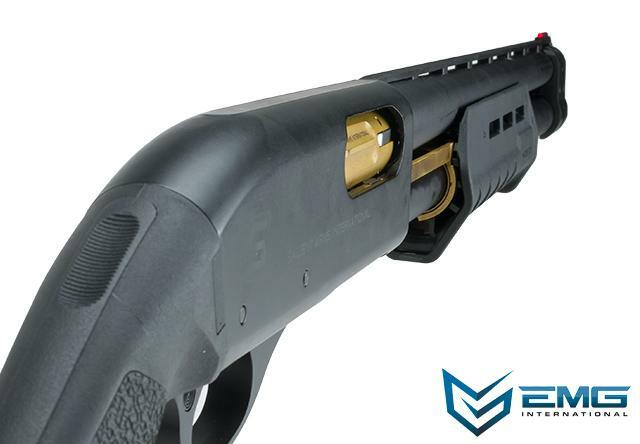 About the MKII System: The CAM870 Shotgun by APS has proven itself to be one of the most favored Airsoft shotguns on the market; revered for its realistic operation and construction, the APS CAM870 quickly became the go-to Airsoft shotgun for players looking for immersion. 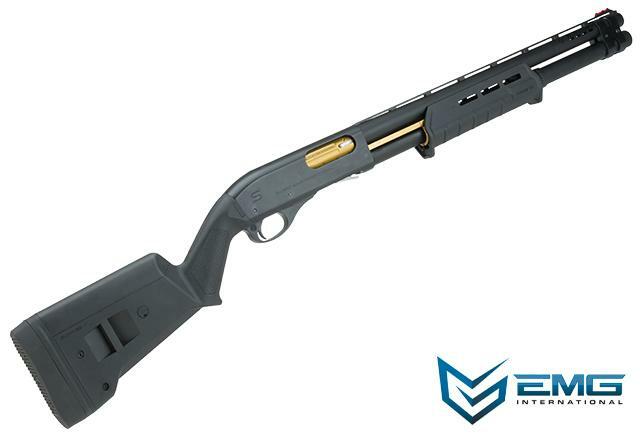 After listening to the feedback of Airsofters and industry professionals, APS went back to the drawing board to make the CAM870 even better. 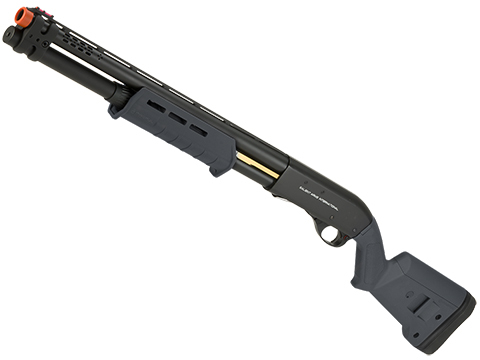 The result is the CAM870 MKII. Identical in exterior design and build quality, the CAM870 MKII retains all of the hallmarks of the original CAM870 such as the pump action and shell ejecting action. 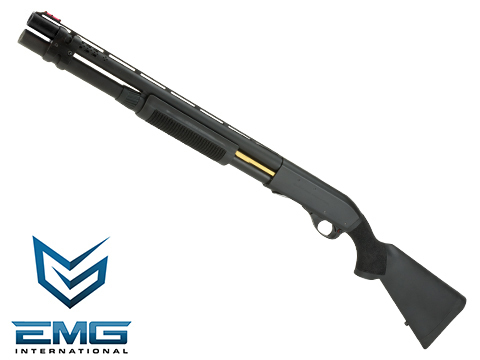 APS however, has entirely redesigned the CAM870 gas system for the MKII system. 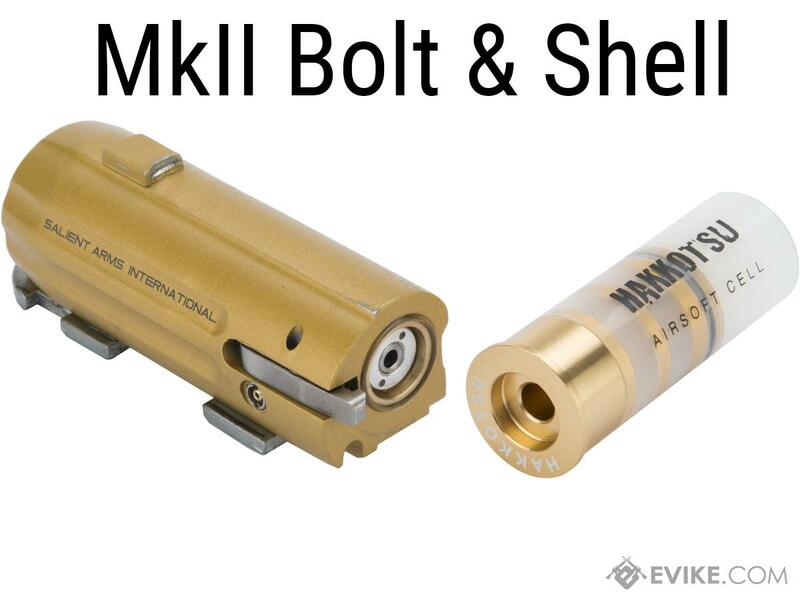 Instead of using a complicated charging rig and having to charge each individual shotgun shell, the MKII gas system holds the gas in the bolt, requiring the user to only have to charge the bolt, reducing time spent loading and cost of shells. 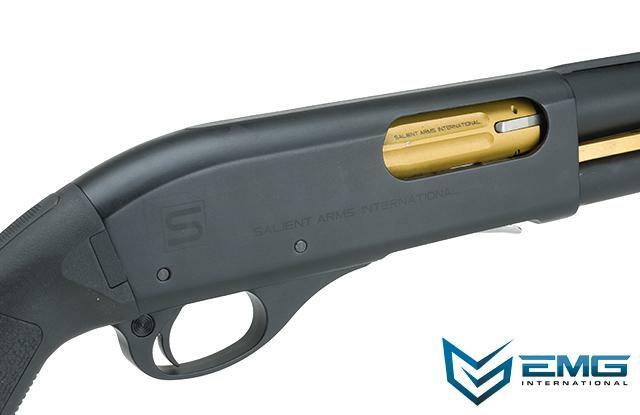 This convenient new system allows players to quickly top off their shotgun with a gas charge on the field with portable CO2 canisters (approximately 7-8 shots per full fill; 50~ shots off a single 88g CO2 canister). 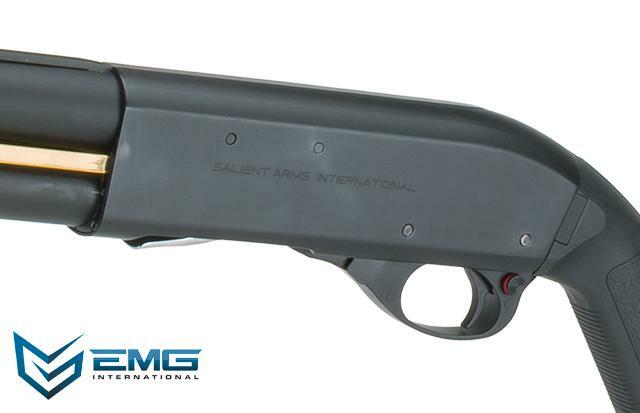 A collaboration project between EMG and SAI, the Salient Arms M870 training shotgun feels and functions just like its real-life counterpart. 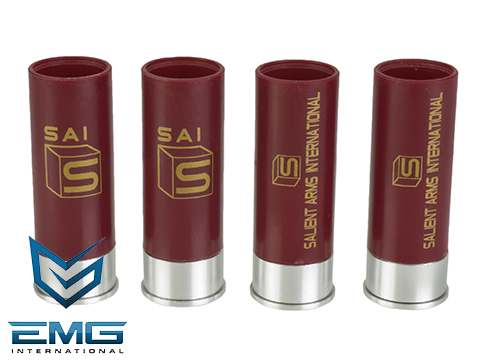 Based on the APS shot shell system, each shot shell has its own self-contained propellant charge as well as the users choice of load. 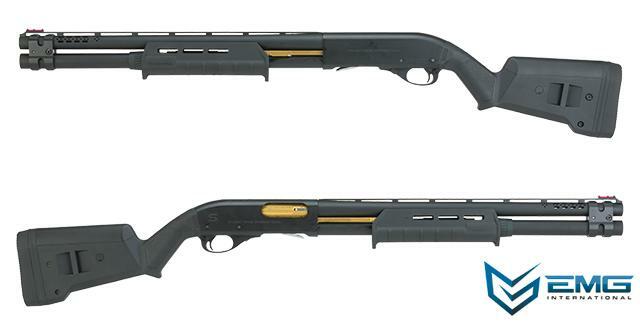 This unique system allows the training weapon to be loaded and cycled like an actual pump action shotgun; complete with tactical reloads, transitioning from one shell type to another, and shot patterning like that of defensive loads. 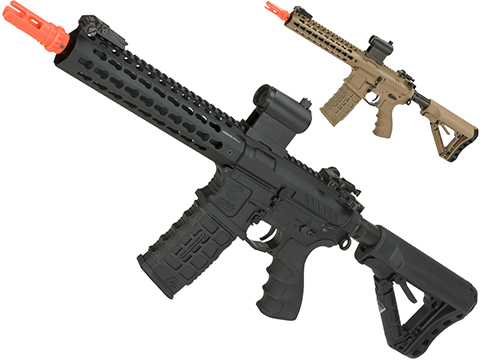 "This is, by far, the most enjoyable airsoft weapon I've ever used. 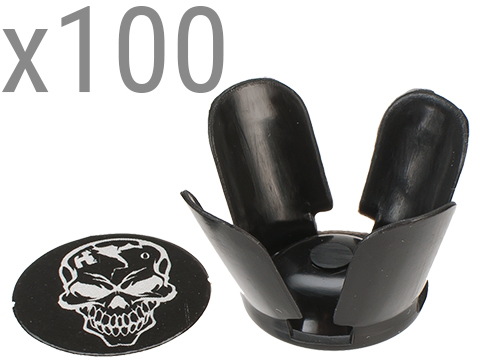 From the weapon's packaging to its performance, I wouldn't hesitate to give it a 10 out of 10. The box is tough enough to be its carrying case, plus the packing Styrofoam (it isn't literally Styrofoam, but I'm unsure of its composition) is sturdy, yet flexible enough to hold the weapon suspended between the top and bottom of the box, without ever slipping. Needless to say, I was impressed with the aesthetics and functionality of this weapon. 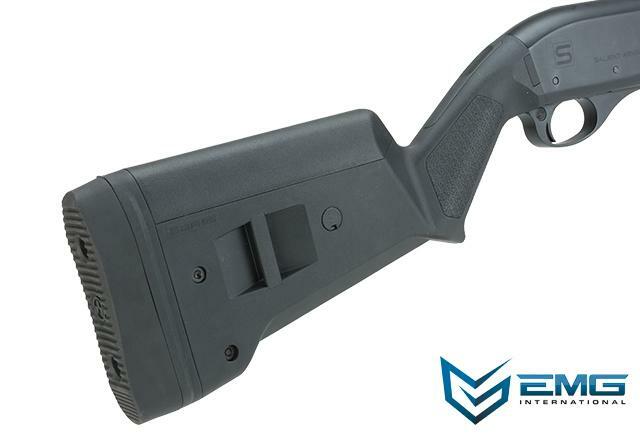 I purchased the Black/Magpul version and have put close to a thousand shells through it. Jamming isn't a thing for this weapon... once you've attained that muscle-memory for the speed/force behind a good pump. I've only had one bad jam which was my own fault for doing it way too fast. While the shell ejecting feature works beautifully, preforming the pump action too quickly can risk the shell hull's integrity, as well as the beautiful, gold gas chamber mechanism (more specifically, the tiny silver arm slightly protruding from it.) With that being said, I'd like to restate that the functionality is truly flawless and unrivaled when used properly. Firing the shotgun has a learning curve, but it's a very sharp one. CO² refills, at first, were strange and made me wonder if it was filled 100% or not, but practice and repetition will familiarize yourself to the look, sound and feel of a spread moving at its optimal speed (meaning the chamber in the gun was filled to/close to 100%.) 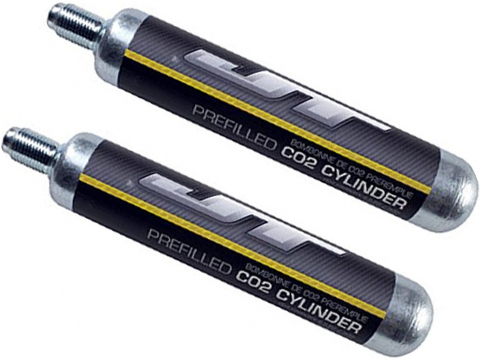 ** I'd like to note, from time to time, maybe when it's the right temperature outside, I don't know for sure - ONE refill of CO² can last me anywhere from 14, all the way to 17 shots fired, despite the company's claim of it only lasting 7-8. While it's more likely that a refill will last around 7 or 8 shots, it appears there are times where you'll get even more use out of it than you'd expect. That's a WIN. Overall, performance goes above and beyond all expectations or claims. ...not to mention, when you use this in-game and round that tight corner to some poor, unsuspecting individual - when they look & react - priceless. In addition to purchasing the weapon, if you'd like to purchase more shells, other than the two included, that's $20/$22 dollars per 4 shells. 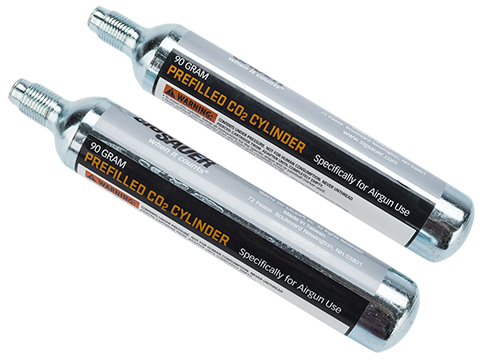 The 88g/90g CO² canisters are anywhere from $10 - $22ish area, depending on option preferences. 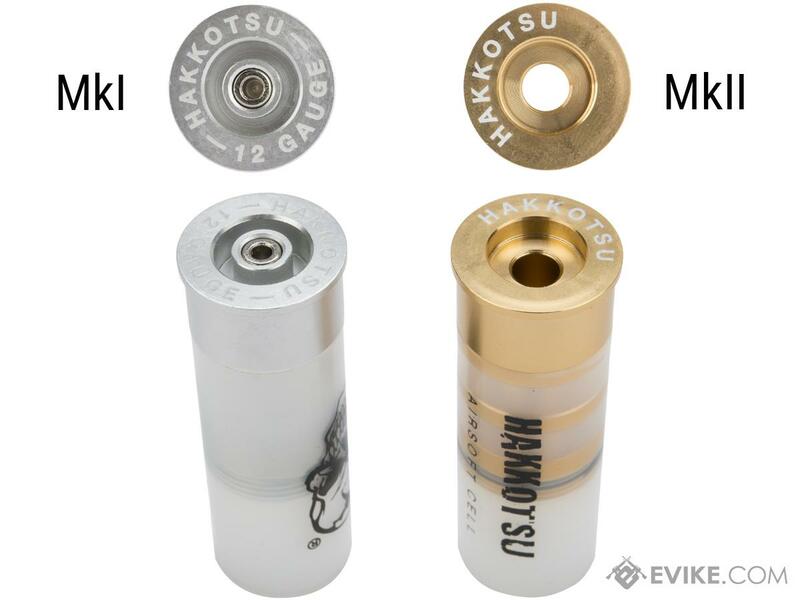 I highly recommend getting some high quality silicone lubricant, I got the $6 or $7 200ml aerosol bottle sold by evike and it works perfectly for everyday cleaning and maintenance. 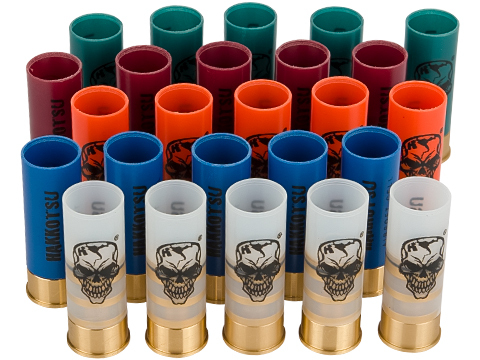 All in all, if you're considering purchasing this weapon remember; gun $10 (CO² (reoccurring)) $14 (lids/toppers(reoccurring)) $20 per 4 shells ($40 to fill mag tube.) Assuming you have some .2 bbs, that's everything needed, besides the lubricants which you can buy at a lot of local stores. 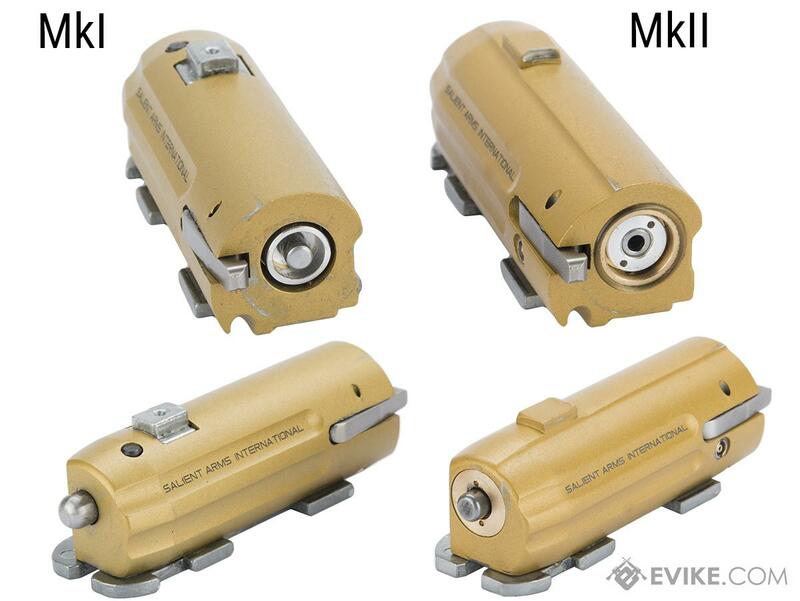 Last thing I'll add, is that it is one of the most, if not, the most realistic weapons made for airsoft. Meaning, REAL m870 shotgun attachments are flawlessly compatible (attachments that use the pins/bars that are wedged through the receiver/chamber area of the shotgun's body.) If you have funds, this thing can be even further customized to infinity and beyond. There's no doubt in my mind, if you buy it, you'll love it. 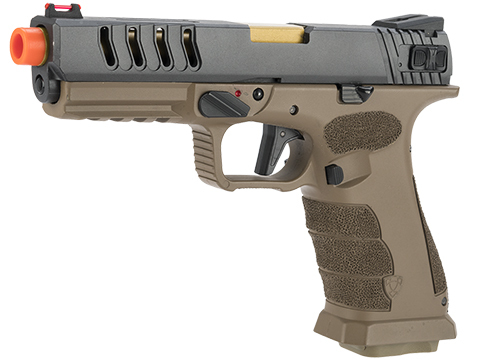 "I'm rating the gun here, not Evike. I had issues w/ them but that's not the gun. I guess I'll just go through a pros and cons list as everybody else does. - Absolutely beautiful. Every part you stare at looks perfect. Feel of everything is super great too. - Occasional jams but almost every time is solved by bringing the bolt back most of the way and forward again, chambering the shell correctly. Could be more learning curve as well. "I been a proud owner of one of these for a year now and I have to say this is among the most practical training tool there is. The new updated version making the gas charging much better is amazing! 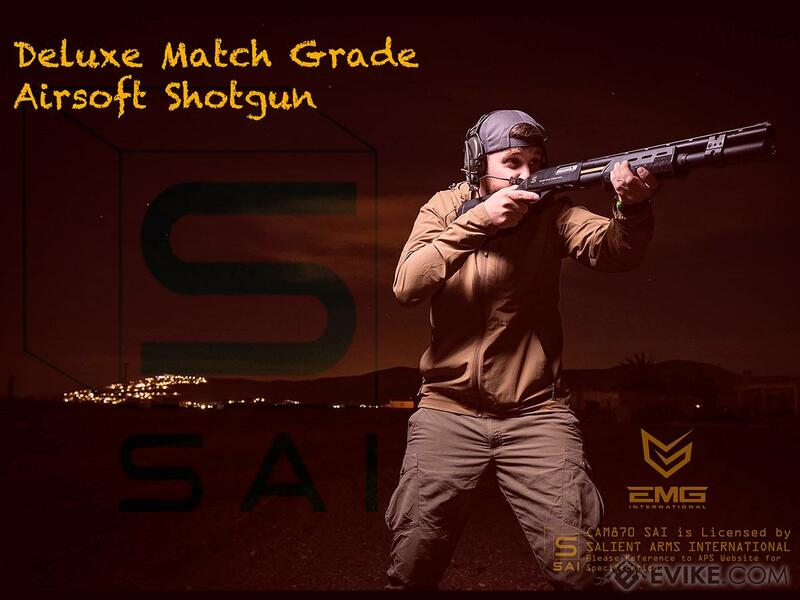 If you are in the market for the best Airsoft shotgun, the most realistic Airsoft shotgun, or simply the best looking AIrsoft shotgun, look no further! P.S: Convert yours to an MKII if you have the old version! Discuss about EMG Salient Arms Licensed M870 MKII Airsoft Training Shotgun (Model: Magpul / Black) with your friends and fellow Evike.com shoppers!